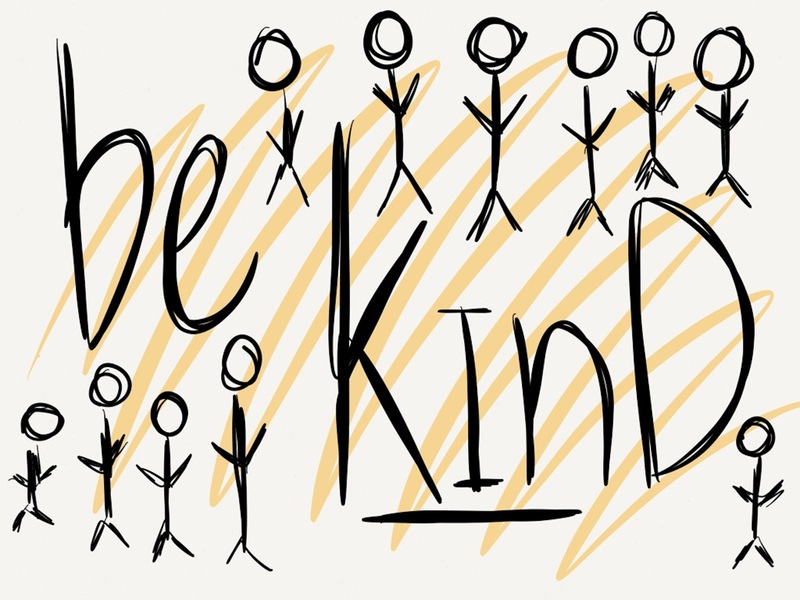 on this day, election day in the united states, i cannot think of a better antidote… er…aspiration than to embrace the upcoming world kindness day wholeheartedly, emphatically, honestly. the mission of the world kindness movement and world kindness day is to create a kinder world by inspiring individuals and nations towards greater kindness. i cannot help but think of my sweet momma as i write this. she didn’t need a celebratory calendar-day to pledge to be kind. she just was. she would be disheartened by our current state of affairs, determined to make a difference one little moment at a time, one kindness at a time. for as i look around, that is what is lacking. basic kindness. what i see in its place is ugly; anger and passionate division, fear and volatility, rudeness and a combative disrespect for humanity. acts of kindness. how about every day? Categories: kerri sherwood, life, two artists tuesday, Uncategorized | Tags: be kind, be kind coffee mug, be kind leggings, be kind phone case, be kind products, be kind sweatshirt, be kind t-shirt, choose kindness, david robinson, davidrobinsoncreative.com, divisiveness, election day, facebook.com/kerrianddavid, fred rogers, itunes: kerri sherwood, kerri sherwood, kerrianddavid.com, kerrianddavid.com/the-melange, kerrisherwood.com, kin, kindness, kindness day, mr fred rogers, mr rogers, my sweet momma, november 13, november 13 2018, our world, politics, society6.com/kerrisherwood, society6.com/twoartists, two artists, two artists living together, two artists making stuff for humans, two artists tuesday, unity, usa, world kindness day, world kindness movement | Permalink. Categories: kerrisherwood, life, prints, story | Tags: family, kerrisherwood, kin, kind, kindness, life, prints for humans, story | Permalink.